Blurb: While harvesting, the German settlement near New Market, Virginia, receives warning of an impending attack by French and Indian war parties. They flee to a quickly cobbled refuge, Fort Providence—for they will surely need to rely on God’s Provision. The forted colonials long to celebrate the holidays and await the arrival of visitors. 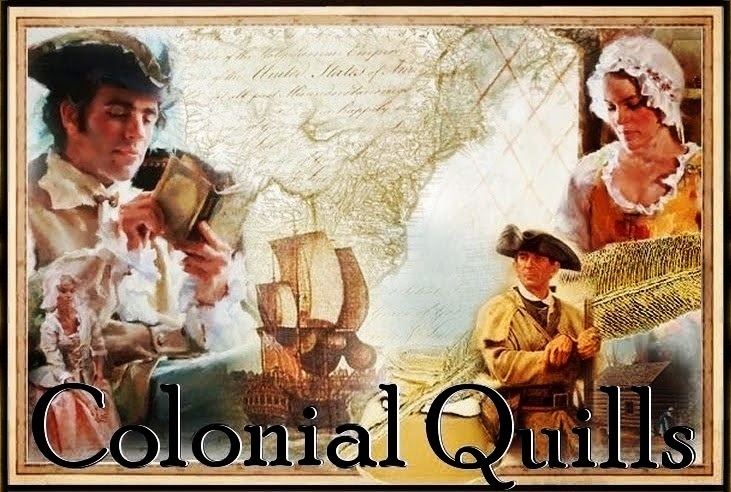 Each CQ contributor to this serial will bring their characters into the fort from throughout colonial America. Join us for A Forted Frontier Holiday each Monday on CQ for the next two months! ENJOY!!! 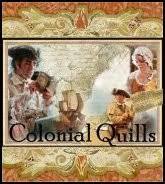 This is our Christmas gift to our faithful followers on Colonial Quills. Many blessings to all of you during this season. And may God bring provision to our northern neighbors hit so hard by the storm. Johan had watched through the closing gates of the hastily-constructed fort as the fields of golden wheat were shut out from them—to molder in their absence. The Rousch family nor the others had brought in all the harvest. How would they survive the winter if stuck inside the fort? They’d been cloistered inside for weeks, with no Indian attacks as they’d been warned and no French soldiers breathing down their necks. With every passing night, Johan grew more restless. If someone did venture outside, he risked being killed. That morning as they’d broke their fast with a tasty pan of fried apples, Suzanne warned him that with six children and another soon to be born, she’d wring his neck if he returned to their acreage. He scoffed, but dared not risk his wife becoming an early widow. Now, as he straddled a bench in the middle of the fort’s yard, the weight of his predicament settled on his broad shoulders. If he and his family remained here through the winter, he’d have no means of support for them the following year either—not with all his leather ruined and his grain gone. Adam Zerkle wobbled through the musty packed-dirt of the yard toward Johan, leaning on the boar’s head cane Johan had carved for him during nights spent in front of the fire. The elderly man, cantankerous under normal conditions, bubbled over with vitriol since they’d been forted. The man stank as though he’d not bothered to bathe—despite the rain barrels of water they’d collected and used for all inhabitants. Johan angled his head away from the malodorous man. “Don’t believe any of this nonsense about an attack—nein! I’m going to my own farm today.” He stabbed at the ground and Nicholas Zerkle hurried from behind to join his father. “Ja, Papa, I will take you.” Zerkle’s youngest son challenged Johan with his glare. “We didn’t cross an ocean to be imprisoned by our own people. Nor the French.” He narrowed his beady eyes at Suzanne’s back. Heat started in Johan’s chest, beneath his coarse linen overshirt, woven and constructed by Nicholas’s wife—the flax grown in the elder Zerkle’s expansive fields. “I can’t let you do that, Mr. Zerkle.” Johan looked to Suzanne, bent over a load of laundry, the half barrel set atop a low wooden bench to accommodate her. Other women, gathered in the center of the courtyard, shelled beans or laid our vegetable strips to dry. Older children assisted their mothers while younger ones played nearby. How would they feed these kinder if they didn’t bring in some food. Lord, bring us help. “Who appointed you our master, Rousch?” Nicholas stepped toward Johan, who stood only a finger’s breadth taller, the tallest man in the camp. Spittle landed at Johan’s feet but he didn’t flinch. With a stone or more muscle on him, he could easily stop young Zerkle but Johan didn’t want to use his strength to do so. Nearby several men checking their weapons turned to watch them. The old man stared at the chickens pecking in the dirt nearby. Those hens were for laying eggs--not for roasting over the fire. The elder Zerkle ran his tongue over his thin lips. Nicholas raised his chin. “Enough food on Pa’s farm to feed all your brats and then some.” His eyes wandered to Suzanne, just one month shy of delivering their seventh child. Johan pressed his fists into his thighs knowing he’d pummel the man if he said one more word. God help him he wanted to teach Nicholas a lesson with his fist—as he’d always wanted to correct his brother—but Suzanne and four of their children were nearby. Clearing his throat, he nodded toward the fort’s heavily guarded entrance. “If there is no stopping you--then be about your business quickly” before someone could enter and attack them. Would others follow suit and depart the fort, risking life and limb? With a sigh, the older man creaked toward the huge front gates of Fort Providence. Suzanne rose with some difficulty and joined Johan, wiping her hands on her apron. Despite her girth from their growing baby, his wife carried herself with regal grace. How could a woman raised at court in Versailles, the granddaughter of a French Marquis, have married him? By God’s will—only He could have brought it about. Johan bent over to kiss the top of his wife’s head, that reached just above his elbow. Would she have enough nourishment for herself and this baby? If only she knew how concerned he was—and how low the supplies were. But he’d not shared that information with her. Not yet. Exhaling loudly, he pulled her close, feeling their child kick against his own stomach. He pulled back and they both laughed, Suzanne covering her mouth with her tiny hand. Only God knows if our child will come at Christmas, my love.” And only He knew how long they’d be quartered there, away from their own home, their own belongings, their own memories. Suzanne fingered her grandmother’s topaz necklace, strung around her elegant neck. Was she thinking the same thing? He kissed the tip of her nose, smiled, then headed to the gate to see if the current guard needed relief. “Thank God. The Zerkles?” Johan prayed so. “No.” The tremor in the man’s voice stirred Johan. Fear fired through Johan’s body from his feet, shoed in his own leather from their tannery, to the top of his head. “Who?” He inhaled deeply, drawing in the scent of evergreens not far from Fort Providence, and squirrel stew, cooking within, over an open fire. “Dressed like Indians!” Phillip Sehler, the second sentry, called out. A nearby militiaman clanged the alarm bell. “Gray Badger!” the sentry called down from the other side. “It’s Christy and son!” Sehler pulled off his hat and waved it. A shout went up. “Christy” resounded throughout the camp and even the children came forward. He kissed her, relief coursing through him. Only a moment before he’d imagined Shawnee pouring from the woods, right behind the two newcomers. “Go to Sarah and stay with the little ones, my sweet.” His 16-year-old niece, an orphan, and the colonel’s son were the closest of friends. “Oui, but send the colonel to me when he is free.” Suzanne stood on tiptoe, one hand clutching her belly. “Bien, fine.” Her smile trembled. Johan lifted her hand and kissed her knuckles. “Christy may have word of your brother. But let the young people speak first. William can tell us of Guillame later.” A French soldier in New France, Johan’s brother-in-law was to have rendezvoused with William recently. Golden eyes flashed in appreciation at him as Suzanne ducked inside the dark doorway of the nearby house. Today she was in better humor. Many of the women, the men, too, had taken to arguing with their spouses—an ungodly habit. Even he had fought with his wife over returning to their acreage to try to save his hides—knowing the tanning solution would soon rot them. He’d finally succumbed to sleep and when he awoke that morning, apologized to her. He vowed to keep a guard over his tongue. Four men opened the gates in unison allowing entry to the two men on horseback. Just as swiftly as they groaned closed again and a metal bar dropped into place. Colonel Lee Christy, assigned with the British army to the colonies, rode his gray gelding into camp like the son of aristocrats that he was, perfectly erect, appearing relaxed in his saddle. Yet his eyes, the same silver-gray as his hair and his mount’s shiny coat, scanned the faces in their little community. Christy dismounted. “We have word from the Shawnee, from William’s grandfather.” The officer handed his reins to one of the younger men. William remained mounted, his black eyes touching on every female in the camp. When he stopped and stared fixedly at a nearby house, Johan turned. Suzanne crossed to where Sarah stood. With her long blonde hair unbound and a baby cousin on one hip and a toddler on another—Sarah stood in the wood framed doorway, her near-sighted eyes narrowing. William slowly rode forward, bent over his horse, murmuring something to the dark mare, patting her head and stroking her long neck. The other children, clustered in the yard parted, allowing him past. He stopped twenty paces from Sarah as Suzanne took their youngest children from Johan’s ward. Some men picked up long rifles while others grasped hatchets and knives. Several climbed nearby ladders propped against the walls. Shad, an experienced and well-respected scout routinely traveled up and down the entire valley and into New France. “Ho, the fort!” Shad’s baritone voice carried over the hoofbeats of his horse. Colonel Christy pushed past another man and scrambled up the ladder with amazing alacrity. His silver mane belied his relative youth of only seven and thirty years. Once more the gates were dragged open as the buckskinned man rode in, young Zerkle behind him, unconscious, blood staining Nicholas’s linsey-woolsey shirt. The next section of this anthology will be posted on Monday, November 12th. GIVEAWAY: One commenter will receive a copy of Laura Frantz's "The Frontiersman's Daughter." The drawing for this book will be done on Thanksgiving and announced the following day. QUESTION: What are you hoping will happen next? What would you want to see happen during the holidays at Fort Providence? 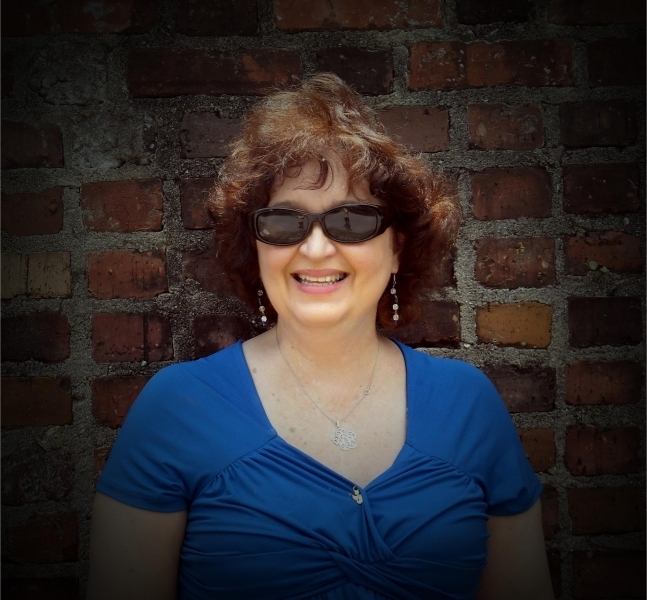 Carrie Fancett Pagels is represented by Joyce Hart, CEO of Hartline Literary Agency. Carrie writes "romantic" historical fiction. She is the Administrator of Colonial Quills and of Overcoming With God, an international group blog. Carrie resides in the historic triangle of Virginia with her husband and son and is very grateful their adult daughter lives close by. She is a Colonial Williamsburg fan and can frequently be found at historic sites doing research. What a terrific idea, Carrie and ladies of CQ. Looking forward to reading the next installments. KATHY!!! I LOVED yours and I know our readers will, too! So GLAD you are on board with us!! CARRIE!!!! I LOVE IT, my friend, and way to leave me hanging, you little brat!! What a fun, FUN way to kick off the holidays!! JULIE!!! THANKS!!! We hope this will really BLESS people! It has been a DREAM of mine and I am so JAZZED to see it coming true! This is a wonderful idea! Thank you so much for sharing your talents with us. :) Looking forward to checking out the rest of the installments. KAREN!!!! BLESS you for reading my section! I pray you will enjoy this CQ gift to you and our other readers!!! Wonderful excerpt - love the cover, too! A great start to a beautiful series! 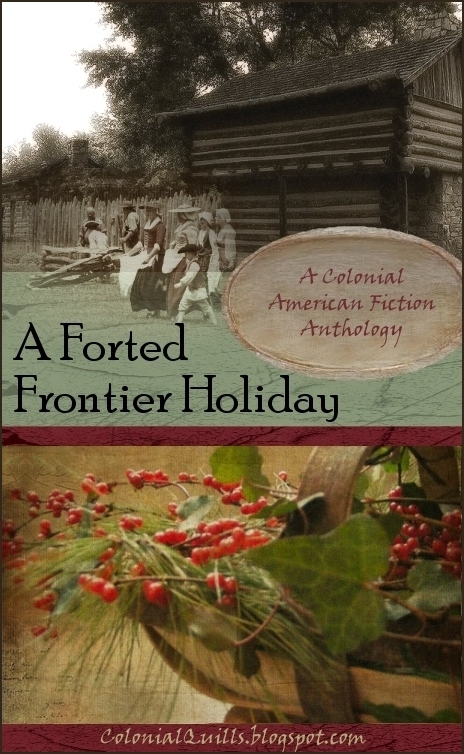 Laura, I think I am going to give away a copy of your amazing "The Frontiersman's Daughter" in conjunction with this week's anthology posting! I thought you would enjoy this! Carla did a great job with the cover! And thanks for your stamp of approval!!! what a wonderful idea. I can't wait to get a minute to read this exerpt and know I will be champing at the bit for Monday to come during the next 2 months! DARLENE, let me know what you think!!! LYNN, where did my comment go? THANKS so much! I pray that you will one day soon get a copy of a Carrie Fancett Pagels' debut fiction novel! Great cover by Carla!!! What an exciting beginning to this serial. Fantastic job on your story, Carrie!! Rich characters, and an awesome setting. I'm buried in edits, but can't wait to read it--hopefully at lunchtime Just wanted to say the cover is beautiful! I took a quick break from work to post links on my FB profile and author page. Thanks, CARLA, and for the gorgeous cover design!!! Where did my last comment go to? I hope you got to read the post, LORI! This is from Margie Geary: I enjoyed reading this (it wouldn't let me leave a comment :( ). Looking forward to reading the rest! Great start! Thanks Margie and I am gonna go look in our spam folder just in case it ended up there! Thanks so much!!! ACK, Margie Geary VAWTER!!! And what a great editor she is. She gave me great advice on tightening up a section of my last MS.
Carrie, this was an exciting beginning! I want more, but alas I must wait until next Monday. I won't even venture a guess as to what will happen next. This is an awesome idea! Great job! Thanks so much, DEBBIE!!! We hope our CQ friends and followers will enjoy this holiday series as much as we are loving our time sharing and writing this anthology!!! This was great can't wait for the next one! THANKS!!! If you come back, leave your email addy because we are going to be doing a giveaway of Laura Frantz's The Frontiersman's Daughter! Oh, my! I'm breathless to read the ensuing chapters. Hurry, Monday, please! JUDITH, maybe that was because of the virtual HUG I am giving you, lol! Thanks so much!!! Virtual HUG right back. Now you can be breathless, too. But this is exciting reading. Can we push Monday up a couple of days sooner in the week? LOL, JUDITH! I pray you will LOVE all of the serial installments and be blessed by spending time with us in forted frontier colonial America!!! An exciting beginning! I look forward to the next chapter. LORI, I am SO looking forward to reading your upcoming release through Waterbrook-Multnomah!!! Thanks!!! Ah, I thought you read it, LORI!!! So glad you found this exciting, thank you! Oh, wow, Carrie, you have me hooked! What a treat to read your beautiful and historically-detailed writing. I look forward to the coming weeks to see what will happen next. The cover is great! Thank you ladies, for this Christmas gift of your talents. Oh oh oh--magical words!!! LOVE those words!!! THANKS so much for your kind words about my writing! Oh, btw I have had no nightmares lately about you-know-who (sounds like he is Valdemort, lol!!!) Yes, Carla made an awesome cover!!! We are so glad you like this, LISA!!!! No nightmares is good, Carrie, lol!! The anthology is wonderful, your writing is great and a certain editor would be lucky to have you! This is very exciting! HAHA, LISA! Thanks so much but Valdemort's assistant is tough to get past, lol! Perhaps you are referring to the other house--no Valdemort, lol! Good thing Carla can't edit my comments! I am looking forward to reading this book. May your words go straight to God's ears AKA an editor, lol! This serial will be offered online and we are praying to find a venue to put this into an ebook and/or paperback format! Thanks JANET!!! Wow! NICE JOB both Carrie and Carla! Want to thank you for including me in this serial writing adventure! Am looking forward to seeing everyone's offers toward the story of Fort Providence. And may God's provision bless everyone this holiday season! THANKS so much PAT!!! I loved your work that you shared with me and can't wait to read you contribution to this endeavor! Yes, may the Lord bless our readers and our group! Thank you CASSANDRA!!! I love having something that awesomeness! I love you, too, daughter! So glad you came by to see your Mom's wonderful story, Cassandra. She is so proud of you and we are so proud of her! Thanks, CARLA!!! This has been on my heart to do and I pray our readers and our group is blessed by this endeavor. This is from my husband, JEFF--"It was very good. And I will read the next section." THANKS JEFF--this is high praise indeed from my engineer husband!!! Great! It is always nice to have the huz's approval! Glad it garnered his interest! HAHA CARLA, I made him read it. But to have him like it and want to read more in our series--that is like getting the toughest book critic around to give me praise! This was great Carrie, but I wasn't ready to run out of reading. Just can't wait for next Monday, and at my age, don't like my days to go by so fast. LOL A very interesting start to the story and will be fun to see how the others continue it. Please put my name in for Laura's book. Sure enjoy joining you girls. MAXIE!!! Thanks so much! This is so much fun and has been a dream of mine to have a bunch of us do either a novella or an anthology or both together. So here we go. We have so much talent in this group, MAXIE, that it humbles me. No kidding. And with some of my favorite writers contributing to this anthology I am knocked to the ground and thanking God for his provision--here at Fort Providence! CARRIE, that was fabulous! Oh, you have a terrible habit of leaving me hanging off the cliff! lol I'm not sure what I want to happen next, but I can't wait to read what does! Thank you for this -- so wonderful! Thanks, DIANA! To hear this from our fabulous Senior Reviewer at Overcoming With God is HIGH PRAISE indeed!!! Thanks so much!!! Very nice, Carrie, and I love the cover. I can't wait to read the rest of the anthology. Thanks so much, JANET! CARLA did a fab job on the cover like she did on this website! I wish you would change your mind and write one section. I'd even make room for you! Hugs! Me neither, MARISSA! This is a really talented bunch of ladies and I did not want to hamstring them by making them write and add exactly to this story. Instead, they will bring their own characters to frontier colonial Virginia, where they will join us at the fort! Thanks for reading!!! Loved this! Way to bring this exciting and important time in our nation's history to life! Fabulous idea to bless your readers with, too. Way to go, everyone! Can't wait to read the rest of the series! THANKS JOCELYN!!! We hope to see you back for the rest of the anthology! Blessings! CYNTHIA!!! My friend, I cannot make any exceptions--ye must wait patiently or face the stocks, lol! Thanks so much! Carrie, such a good story. I love your characters and the feel of the fort. You've set the stage and given us an excellent beginning for the serial. I'm looking forward to reading what the others have written. Thanks so much for thinking of this and for giving me an opportunity to be a part of such a exciting project. SUSAN!!! Can hardly wait till we have yours up because you are who I call the treasure chest author--LOVED The Chamomile!!! So glad to have you on board with us. What a blessing and thanks SO much for your kind words! I'm so looking forward to this through the holidays. What a wonderful idea! Thank you, Ladies! DEB!!! We should have threatened YOU with the stocks if you didn't come on board. Alas, we did not and now Colonel Christy would not force you inside the fort. Sigh... Maybe next year! Thanks! What a wonderful Christmas gift, Carrie! I love serialized stories! Ihope to see some kissing under the mistletoe and a healthy Christmas baby in the weeks ahead! Oh my goodnessgraciousmeohmy!!! KELLY MARIE LONG will be coming on and Ms. Kelly is known for her kissing scenes!!! Almost as spicy as Julie Lessman's! I suspect Sarah might steal a kiss from William or vice versa and of course Johan will be kissing Suzanne--after all, they ARE married!!! Thanks so much, Cathy! What a neat idea! I love it and look forward to checking it out every week. JO, I truly hope you are blessed by this section and by all the others! Many blessings back and thanks so much!!! Thanks so much, PAT!!! That is EXACTLY what I was going for!!! Very COOL Carrie!! What a gift of writing you have! The characters, their voices, and the setting, all contributed to the authentic and exciting atmosphere! Thanks so much, NOELA!!! I am so glad I set up the colonial fort ambiance for you! Thanks so much for checking this first section of the serial out. Thanks, Carrie, for initiating this wonderful early Christmas present. Congratulations on the mention in USAToday. Looking forward to great things from all the Colonial Quills writers! You are so welcome! So glad u like this! We are so tickled that Joyce Lamb invited us back. We have so much talent in CACW! Thanks!!! KATHLEEN!!! So good to see you here!!! We are so GLAD you are enjoying the serials!! Getting ready to do the first drawing--one of Laura Frantz's books. I am suggesting The Frontiersman's Daughter, my fav!!! Thanks for answering. I will keep that in mind as I write the Christmas section! CONGRATS to the winner of a Laura Frantz book (I recommended my very fav "The Frontiersman's Daughter" and KAREN LANGE wins a copy!!! Thanks for commenting, please check back for our replies! © Colonial American Christian Writers Paintings: Meadow Gist.. Powered by Blogger.